To truly help our families build lifelong immune resistance, I'll share the 15 ways to keep your child healthy below. Keep in mind that we need to approach children's lives in two phases – baby/toddlerhood versus any time after – because it is only during the first two and half years of a child's life (approximately) that we parents have our best shot at giving them the strongest possible foundation for their immune system. This is the critical period when beneficial bacteria tutor and program our child's immune system on how to respond appropriately to outside invaders. Don't worry if you didn't know this in time! Below I'll also cover the ways we can help to re-program our kids' immune systems later. Kids need to acquire the right bacteria at the right time, including pregnancy. For more information on how to make sure this happens correctly, see Could It Be This Simple? and The BEST Way to Protect Your Immune System. Make sure your baby's earliest foods are meat, saturated fat, and raw egg yolks (NOT cereals), followed by complex carbohydrate vegetables and fruit, especially lacto-fermented. 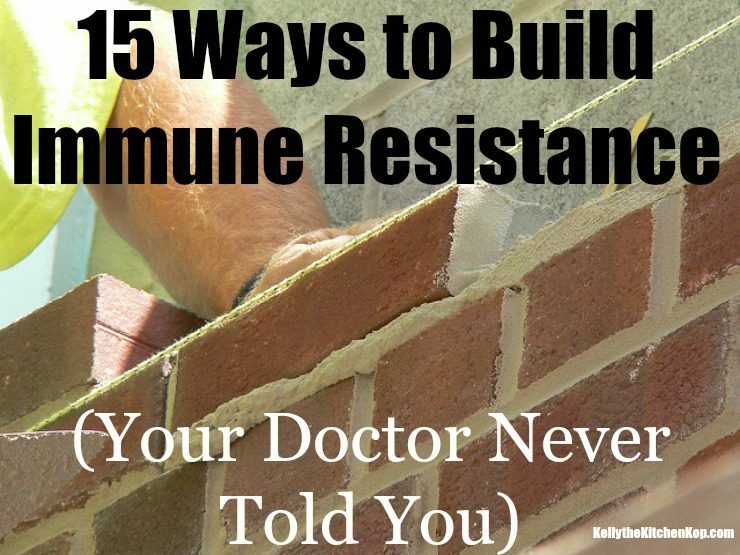 For more information on this topic, go to The BEST Way to Protect Your Immune System. A dirty baby is a healthy (and happy) baby, don't freak out every time they put things in their mouths! Babies are universally wired to do this because it's nature's way of inoculating them to a diversity of much needed bacteria. Let the cuddling begin! Intimate exposure to loving, healthy caregivers will continue baby's inoculation process. Same goes for pets and farm animals. Kids who grow up in rural areas and on farms have more diverse microbiomes and lower rates of immune dysfunctions like allergies, asthma, etc. Try to avoid antibiotics, even for earaches (most are virally caused anyway). All antibiotics, including natural ones like oregano oil, grapefruit seed extract, colloidal silver, etc. (garlic is ok), provoke an unwanted invasion post-antibiotics, as pathological microflora take advantage of the destruction of the beneficial ones that have previously kept them in check. Eat home-cooked meals of 100% grass-fed and organic foods as much as possible, to eliminate consuming pesticides, hormones and antibiotics, all of which negatively impact your microbiome. Purchase from a variety of sustainable farmers (different soil = different spore bacillus). Start gardening and get the kids involved! Get your hands in clean, fertile soil often. Don't wash your organic produce! Enjoy a healthy lifestyle in a natural environment with plenty of outdoor exposure. Breathe deep while taking walks in the woods or canyons! Explore ethnic grocery stores for complex carbohydrate produce you've never tried before. Think jicama, jerusalem artichoke, plantain, etc. Different strains of bacteria love to eat different forms of fiber, so give them a variety. Widen your family's palate to increase their microbial diversity! Avoid fast food like the plague! Industrially produced vegetable oils (corn, soy, sunflower, etc. ), especially when reheated multiple times to fry foods, kill gut bacteria and cause intestinal inflammation which, according to microbiologist Kiran Krishnan, can linger for up to 15 days. Outside your home, avoid insecticides/herbicides, etc. Be aware of where your children play. Many public spaces, including schools, are routinely applied with gut microbe-killing chemicals like the antibiotic glyphosate (Roundup). Keep in mind that most medications and/or hormones harm gut microbes, including The Pill. Dr. Natasha Campbell-McBride, neurologist and microbiome expert, says “oral contraceptives devastate beneficial bacterial flora”. Drinking alcohol recreationally also impairs the microbiome. As a safeguard, give a 100% gut commensal spore probiotic to everyone in your family. Don't know if your probiotic supplement is spore-based or not? Look on the ingredient label. If the first word is “Bacillus” followed by the latin name of the strain, it is a probiotic spore bacteria. Anything else (like Lacto, Bifido, etc.) is the more fragile, “chemical messenger” strain that does not survive in the gut. Eating organic food grown in clean soil will provide this important beneficial spore bacteria, and taking this probiotic is a great safeguard. Keep in mind that spore bacillus are NOT the result of food fermentation, but instead, exist in their dormant form in our environment, waiting to be consumed, so they can become active in our intestines, correct microbial imbalances and, if necessary, re-educate our immune system. Well-defended by their shell, these spore bacillus can even survive cooking – researchers have found probiotic spore bacillus heated to 455 degrees still viable! Any guess as to what CAN kill these unbelievably hardy probiotic spore bacteria? Exposure to chemicals when they are busy performing their gut-healing work in their vulnerable, non-spore state. We are constantly exposed to invisible, gut-disrupting chemicals. Our food, agricultural systems, and soil are now extremely sterilized. The modern day microbiome is much less diverse and, unfortunately, “loss of diversity correlates with the emergence of illness” (source). This is because different foods attract and support different strains of gut bacteria. Our hunter-gatherer ancestors ate about 600 varieties of foods while the average American now eats only 6-12. Have you ever taken a spore-based probiotic? They've actually been prescribed by medical doctors and veterinarians alike for decades, although largely in Europe and Asia. Why did you take them? Did they make a difference for you, and if so, how? Know anyone who needs this info? Do you suffer from digestive issues? Is My Probiotic Really Helping or Am I Wasting Money? This was a post by my sweet friend, Joanie Blaxter, a regular writer around here. Joanie is the founder of Follow Your Gut and a health coach who has been in sales and education in the natural foods and products industry since the early 70’s, with six years spent recently as a vitamin specialist in a natural foods store. 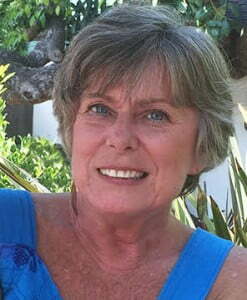 She is also the Weston Price chapter leader for the Ventura, CA area. I wish I had known all these things when my first babies were born. Fortunately, our doctor back than thought natural/homeopathic was the best first path. We have had to leave that same doctor’s office since they require every patient to get every single vaccine offered on the CDC schedule or they cannot be a patient. We have fortunately found a pediatrician who thinks it’s our right to choose what our child is and is not injected with. Our #10 will be our healthiest yet! Yes, but none of us knew it, because this is new information coming out of the Human Microbiome Project just in the last couple years. You can’t regret what nobody knew! Besides, sounds to me like you gave your children an awesome start in life!!! This is discouraging. First I find out my cod liver oil is no good and now I find out my probiotic is no good. Pretty much nothing I do to try to eat healthy is good enough. Those things are probably not “not good”, Marie. There are various degrees of “good”, so don’t be discouraged! Jill-David Boman – thank you for the encouragement. You are very kind. I think I’m just tired of trying to do well for my family, only to be persistently told on all sides that I’m doing it “wrong” some way or other. Marie Anderson Don’t give up. No one is doing everything perfectly and no one has everything figured out completely either–we’re all just doing the best we can and we all have to prioritize within our limits. I have a feeling you’re doing a lot better than you think you are! Thanks, Kelly. I don’t plan on giving up. ☺️I just get frustrated sometimes. thank you for the kind encouragement. You guys are all so sweet. @ Amy Travis Yes, I agree, new stuff is always hard to integrate. But I think it’s important that we share these new scientific understandings because moms (and dads) need the leverage for planning on best child raising practices for the future. Also, about getting babies to eat meat and raw eggs, I think that varies from child to child and here’s the reason. That info came from a NIH study that looked at why the microbiomes of subsaharan Africans are stronger than those of folks in industrialised nations. That study directly links the difference back to infant feeding practices. Here’s the link to the study: https://www.ncbi.nlm.nih.gov/pmc/articles/PMC4362641/. Ironically, even for infants, the bacteria in the microbiome induce craving and/or food preferences. If a baby inherits the bacteria that prefer sugar and carbs as food, then the baby will prefer those foods. And frustratingly, it’s not uncommon that our kids inherit those bacteria because it reflects how we’ve been raised and it takes time to change our own microbiome population. Be persistent! Babies need a strong bifido community early in life and meat and fats are what attract and support those bacteria. Great info, however much of it is unrealstic. Breastfeeding for three years, not realsitic for most. Getting your 6 month old to eat meat and raw eggs, they just won’t. Breastfeeding for as long as mother and child will is as real as can be…it is choice, priorities, values. Jacquelyn Lindsey Hoag I agree, however it just is not realistic for most women that must work full time, as much as they would like to, they just can’t. If it was a possibility, many more would do so. Amy Travis — you definitely can’t get them to eat MUCH meat and raw egg yolks, but it’s a good time to start introducing those foods anyway. As to meat and raw egg….well, some will. When teething and drooling begin, and they sit…they will go for anything mama has….that they can see, smell, copy. If a drumstick is all that is available, thats it! But me…i would still mash banana, avocado! Jacquelyn Lindsey Hoag believe me, I tried meat and eggs, but no go. I tried over and over. Would wait a week and try again. I wanted him to like good clean protein so bad, but he just spit it out. He likes some now, thankfully, but not a huge fan yet. And mine started teething at 2 months, and cut first teeth at 3 mos.